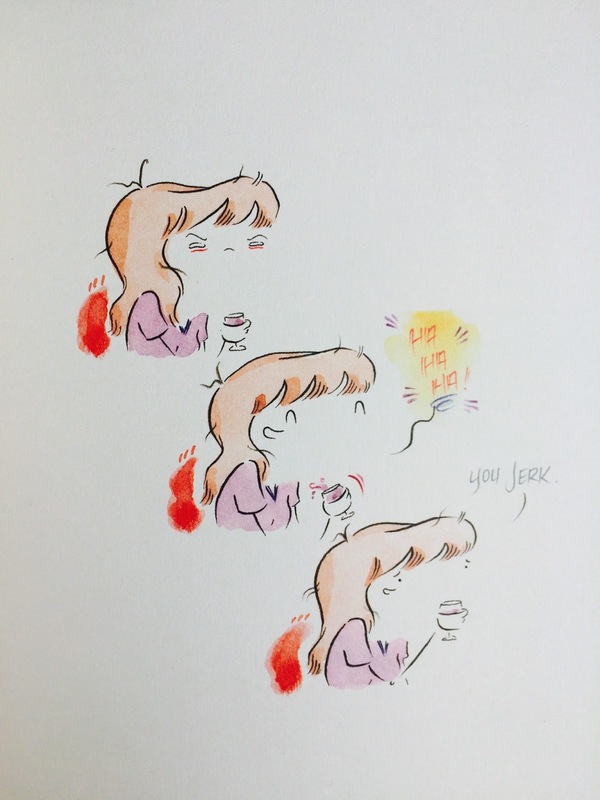 Leslie Stein's new collection of stories slash diary comics is a generous compilation of her daily interactions, observations, memories, and thoughts. 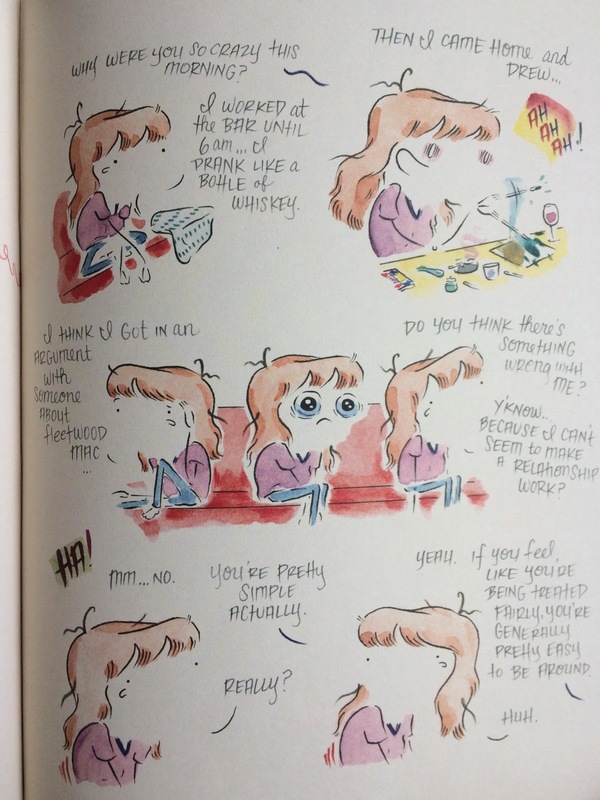 She has been a longtime comic contributor at VICE.com, publishing weekly short comics that are as delightful as they are honest and vulnerable. 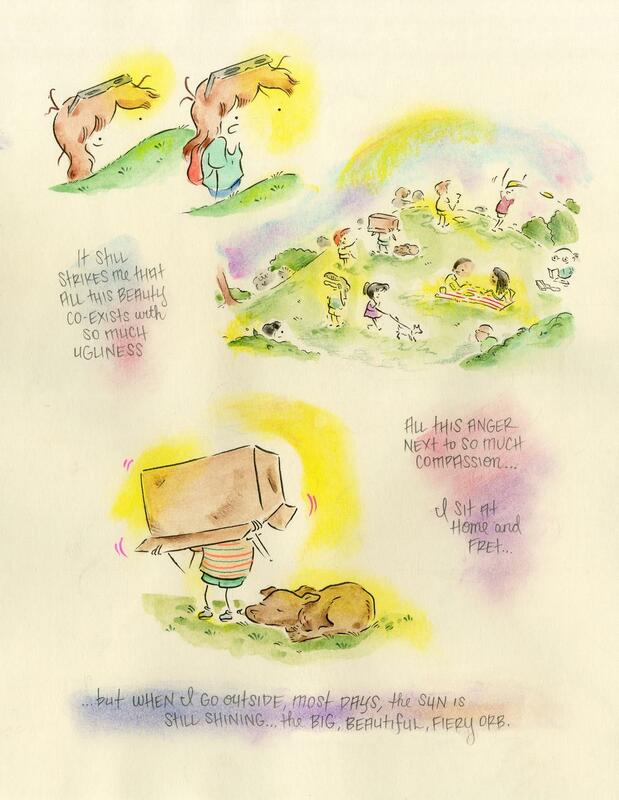 Stein's dreamy vibrant watercolour drawings deftly match the blissful energy of the artist as portrayed in her comics. Even when exploring feelings of loneliness, sadness, and rejection, Stein remains a bright presence with wit and cheer. How does she do it! 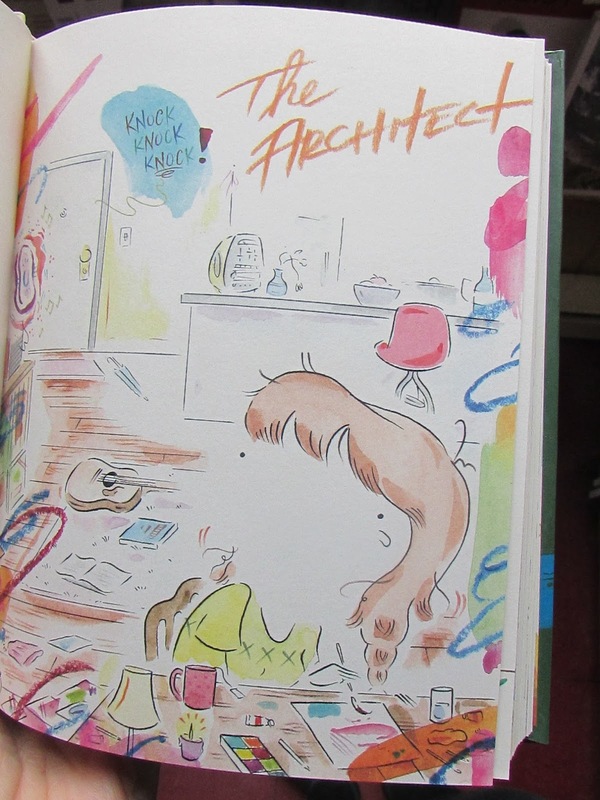 She is my unofficial spiritual comic guide, teaching me how to gracefully traverse the mess of everyday life. Her borderless allusive drawing style is strange in the best way possible. By abstracting her figures' faces, she encourages interpretation based more-so on colours, hues, conversations, and environments than facial expressions. And when she does want to articulate the expressive reaction of a character, she does it by employing a wonderfully dramatic manga-like wide-eyed likeness.